When people say that SEO strategies have changed over the years, it makes me chuckle to myself. They really haven’t. Advanced SEO tactics have changed in that time, but ‘mainstream’ search engine optimisation has not. You needed to write great content in 1999. Long-form content was still something that people read – it wasn’t created in 2012 as many SEO experts would like you to believe. You needed to build and earn links in 1999. 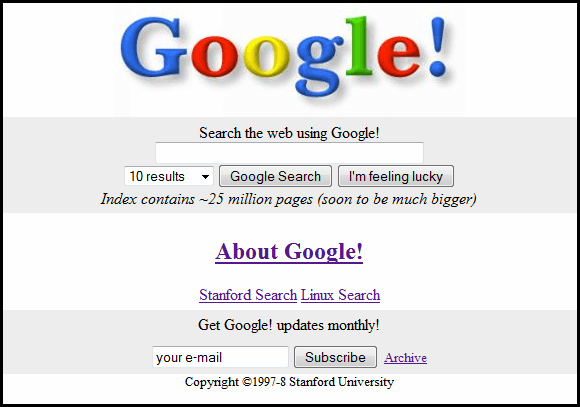 Google existed back then, and the core part of how it works is still the same today. The web has changed since 1999, but not the fact that we still have to ensure that websites and web designs are crawl-able, that web servers stay online as much as possible, that pages are delivered as fast as possible. Yes, we expect faster delivery of web pages more than ever, but there has always been a time limit that people would wait before moving on. Keyword research existed in 1999, albeit much more crude, but you still should have been looking for keyword phrases to build content around, so that your traffic increased. If you think about it, keyword research, writing content, link building, ensuring pages loaded fast enough – they are all part of international SEO today as much as they were in 1999. There of course are nuances these days, and as Google algorithms over the years have improved, so SEO teams have had to improve – or face the indignity that page two of SERPS is. Advanced SEO, however, has changed – or should this merely be labelled as innovation? Improving upon ways to gain or earn more links – is this an advanced SEO tactic, or is it just being innovative? I think of most new search engine promotion tactics that we think of at Embryo are really innovations upon ways we have done things in the past. So, back to my point, SEO hasn’t changed in 20 years – you still need to write content to make visitors like what they see when they get to your site. You still need to build links to fit in with Google’s excellent, robust, not-going-anywhere-soon, network science approach to the linking of the web, and you still need to make your pages speedy when requested, and that Google bots can travel around your site in as quick as time as possible, understanding everything that they read along the way. See…it’s just the same as it ever was. Previous: Link Building Strategies - Great SEO posts about getting more backlinks Next: SEO Agency Welcomes New Team Member.